According to Benjamin Franklin, “In this world nothing can be certain, except death and taxes”. As we all know, there is certainty in the paying of tax, but in the case of death, there seems to be a common misconception that if you don’t have a Will, everything sorts itself out. Wrong. Everything does not sort itself out. Nowadays, with blended families and the development of superannuation, not having a Will creates difficulties and obstacles for your loved ones. At a time where your loved ones are grieving, disputes with banks, account departments for outstanding pay and leave and superannuation funds is the last thing they wish to deal with, especially if your spouse is dependent upon the release of these funds to survive. A Will allows you to document what you would like to occur with your assets after you have passed. Upon death, if you do not have a Will, you are said to have died “intestate”. This means that your estate (your assets) will be distributed in accordance with legislation. Each jurisdiction has its own legislation dealing with intestate estates. the balance of the estate is distributed between the spouse and the children (depending on how many children there are). If there are two or more children, the spouse will receive one third of the balance and the children will share in the remaining two thirds. What sort of problems may arise if you do not have a Will? Where the deceased person owns the family home – as the spouse is only entitled to part of the estate, issues arise with the ownership of the family home as the spouse is not entitled to full ownership unless the home is under the value of $150,000. Further issues arise if the children are minors and require independent legal representation to alter the intestacy laws so that the spouse may receive full ownership of the home. It is common for government departments to require a grant of representation from the Court in order to release the deceased person’s pay and leave entitlements to their spouse. However, if the deceased person and their spouse own all their assets jointly, there is often no need for a grant of representation to be obtained. To help resolve this issue, the spouse is generally left with no option but to engage a solicitor to assist in the release of their spouses pay and leave entitlements. Preparing a Will – how do I do it? 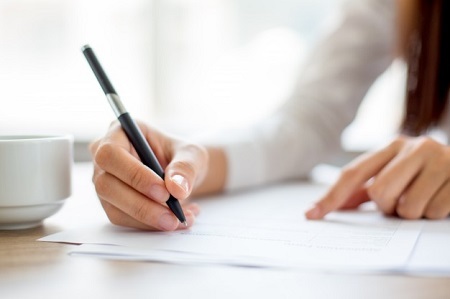 Preparing a Will can be a relatively simple and inexpensive exercise, which offers your loved ones security and certainty in a time of loss and grief. Please do not hesitate to contact me if you have any questions or would like to discuss preparing a will or any estate planning issues.